Bhattacharyya, S. (2010). Do Cultural Forces Affect Self-regulatory Factors in Learning: A Study of India and the United States. Saarbrucken, Germany:, Germany: Lambert Academic Publishing. Bhattacharyya, S. (2014), Differing cultures and different perceptions of technology: A cross-cultural comparison of computer self-efficacy. The International Journal of Technologies in Learning, 19, Issue 4, 77-86. Bhattacharyya, S. & Tollett, C. L. (2009), Investigating Age and Gender differences in Computer self-efficacy. The International Journal of Learning. CG Publishers. Illinois, Vol 16 (11), 359-372. Bhattacharyya, S. (2009), Generational Gaps in Indian Americans. Academic Exchange Quarterly., Vol 13(4)..
Bhattacharyya, S. (2009), Intergenerational Conflicts in the Indian American Adolescents. The International Journal of Diversity in Organizations, Communities, and Nations., Vol 9(4),, pp 171-182..
Horner, S.L., Bhattacharyya, S. & O’Connor, E. (2008), Modeling: It's more than just imitation. Childhood Education, 84 (4), 219-222. Bhattacharyya, S. (2007), Multicultural Education: Paying Lip Service? The International Journal of Diversity in Organizations, Communities, and Nations. Amsterdam, The Netherlands, CG Publisher., Vol 7, (4), 187-193. Bhattacharyya, S. (2007), Cross-Cultural Motivation and Self-Regulation. Academic Exchange Quarterly, Vol 11, (2),, 16-20..
Horner, S. L., & Bhattacharyya, S. (2007), Social Cognitive Theory. In R. S. New & M. Cochran (Eds. ), Early Childhood Education: An International Encyclopedia. Westport, CT: Greenwood Publishing..
Bhattacharyya, S. & Horner, S. L. (2007), Albert Bandura. In R. S. New & M. Cochran (Eds. ), Early Childhood Education: An International Encyclopedia. Greenwood Publishing Westport, CT:. Bhattacharyya, S. (2018). Urban Schools and the Pursuit of Math Education. Aires, Buenos Aires, Argentina, 18 -19th February, 2016. Adeniji-Neil, D.; Mungai, A; Bhattacharyya, S. (2014). Transferring School Culture To Imnprove Students’ Lives: An Urban School Students’ Solution. In International Conference on Urban Education.. Half-Moon Hotel and Resort conference center, Montego Bay, Jamaica. Bhattacharyya, S. (2014). The Effect of Age, Gender, and Ethnicity on Motivation and Self-Regulation. In 21st International Conference on Learning,. Landers College for Women, New York, New York, NY. Adeniji-Neil, D.; Mungai, A.; and Bhattacharyya, S. (2014). Written in Her Own Voice: Excavating our Pasts, Auto-ethno-biographies of Ten Women in Higher Education. In 14th International conference on Diversity In Organizations, Communities and Nations.. Institute for Gender and Diversity in Organizations, Vienna Institute of Economics and Business,, Vienna, Austria. Bhattacharyya, S. (2014). The hyphenated identity of the diasporic woman: Asian-Indian-American. In 14th International conference on Diversity in Organizations, Communities and Nations.. Institute for Gender and Diversity in Organizations, Vienna Institute of Economics and Business,, Vienna, Austria. Bhattacharyya, S. (2013). “Female Literacy and Development: Future Aspirations. In Sixth International Global Studies Conference. New Delhi, India. Bhattacharyya, S (2013). Asian Indian Women in the Diaspora. In Eighth International Conference on Interdisciplinary Social Sciences. Charles University, Faculty of Social Sciences, Prague, Czech Republic. Bhattacharyya, S. (2013). Diasporic trajectories for the Asian American. In Thirteenth International Conference on Diversity in Organizations, Community and Nations. Charles DarwinUniversity, Darwin, Australia. Bhattacharyya S. (2012). Differing cultures and different perceptions of technology: A cross-cultural comparison of computer self-efficacy. In The Eighteenth International Conference on Learning. Institute of London, UK, London, United Kingdom. Bhattacharyya S. (2012). Complicating the Achievement Gap. In Twelfth International Conference on Diversity in Organizations, Communities and Nations. University of British Columbia, Vancouver Canada, Canada. Bhattacharyya, S. (2011). Pluralism in America: A look at diversity issues. In Eleventh International Conference on Diversity in Organizations, Communities and Nations. University of Western Cape,, Belville, Capetown, South Africa. Bhattacharyya, S. . (2010). The effect of culture, race, and ethnicity on motivation and self-regulation. In Second International Conference on Education Research. (pp. 20). New Orleans, LA, Hilton Riverside..
Bhattacharyya, S., (2010). Dominant factors in understanding multicultural education: Do our students really get it? In Second International Conference on Education Research. (pp. 14). New Orleans, LA, Hilton Riverside,. Bhattacharyya, S. (2010). Questioning the modes of multicultural education in teacher education programs. In 2010 International Globalization, Diversity, and Education Conference.. Washington State University, Spokane, Washington. Bhattacharyya, S. (2010). Access and equity in higher education: Addressing local, national and global inequities. In Conference on the World Universities Forum.. Davos, Switzerland..
Bhattacharyya, Srilata . (2009). Examining Age and Gender differences in Computer self-efficacy. In The Sixteenth International Conference on Learning.. Barcelona, Spain. Bhattacharyya, Srilata (2009). Intergenerational Conflicts in the Indian American Adolescents. In Ninth International conference on Diversity in Organizations, Communities and Nations.. Riga, Latvia. Bhattacharyya, Srilata (2008). Examining differences in Computer self-efficacy. In 2nd International Conference of the American Institute of Higher Education: The Impact of Information Technology on Business and Education (pp. 12). Atlantic City, NJ. Bhattacharyya, Srilata (2008). The Indian American Teen: Who am I? In Paris International Conference on Education, Economy & Society.. Novotel Paris Tour Eiffel, Paris, France. Bhattacharyya, Srilata (2007). Motivating Learners to Complete Math Homework. In Annual Meeting of the Northeastern Educational Research Association, (pp. 16). Hartford, CT.
Bhattacharyya, Srilata (2007). Multicultural Education—Paying Lip Service? In 7th International Conference on Diversity in Organisations, Communities, and Nations. (pp. 24). Amsterdam, The Netherlands. Bhattacharyya, Srilata (2007). Multicultural Education-Paying Lip Service? In Intenational Conference of American Educational Research Association, AERA (pp. 13). Chicago, IL. Bhattacharyya, Srilata (2007). Learning in a cross-cultural environment. In International Conference of American Educational Research Association, AERA, (pp. 12). Chicago, IL. Bhattacharyya, Srilata (2006). Computer self-efficacy: A multicultural perspective. In Annual Conference of the Mid South Educational Research Association, MSERA, (pp. 9). Birmingham, AL. Bhattacharyya, Srilata (2006). Do Multicultural Courses Foster Multicultural Education? In Annual Conference of the Mid South Educational Research Association, MSERA, (pp. 10). Birmingham, AL. Bhattacharyya, Srilata (2006). A multicultural perspective of computer self-efficacy. In Northeastern Educational Research Association, NERA, (pp. 14). Kerhonkson, NY. Bhattacharyya, Srilata (2006). Motivation and strategic factors affecting learning in a cross-cultural environment. In International conference of American Educational Research Association, AERA, (pp. 16). San Francisco, CA. Jordanov, W. & Bhattacharyya, Srilata (2005). The value of service learning for college students. In Mid-South Educational Research Association, MSERA, (pp. 9). Baton Rouge, LA. Bhattacharyya, Srilata & Jordanov, W. (2005). Perceptions of motivation to learn: A multi-ethnic perspective. In Mid-South Educational Research Association, MSERA, (pp. 12). Baton Rouge, LA. Bhattacharyya, Srilata (2005). The impact of meta cognitive strategies affecting learning in a cross-cultural environment. In Mid-South Educational Research Association, MSERA, (pp. 11). Baton Rouge, LA. Wang, S.K. & Bhattacharyya, Srilata (2005). The motivational impact of designing E-portfolio on pre-service teachers’ technology literacy and their desire to use technology in the future classroom. In World Conference (International) of E-Learning in Corporate, Government, Healthcare, and Higher Education, AACE, (pp. 11). Vancouver, CA. Wang S. & Bhattacharyya, Srilata (2005). The motivational impact of designing E-portfolio on pre-service teachers’ technology literacy and their desire to use technology. In Annual International Conference of the Association for Educational Communications and Technology, AECT, (pp. 12). Orlando, FL. Bhattacharyya, Srilata (2005). Will (motivation) and Skill (strategies) to learn: A cross cultural. In International conference of American Psychological Association, APA (pp. 15). Washington DC. Bhattacharyya, Srilata (2005). The effect of motivational components on academic achievement in a cross-cultural context. In International Conference of American Educational Research Association, AERA, (pp. 18). Montreal, Canada. Bhattacharyya, Srilata (2004). Cross-cultural perceptions of motivation in learning. In Mid-South Educational Research Association, MSERA (pp. 10). Gatlinburg, TN. Bhattacharyya, Srilata (2004). The effect of computers on peer learning and peer interactions: A case study of pre-school students. In Mid-South Educational Research Association, MSERA (pp. 12). Gatlinburg, TN. Bhattacharyya, Srilata (2004). Motivation in learning-A cross-cultural perspective. In Annual Conference of the Northeastern Educational Research Association, NERA (pp. 13). Kerhonkson, NY. Jordanov, W. & Bhattacharyya, Srilata (2004). Enhancing student learning strategies. In Mid-South Educational Research Association (pp. 10). Gatlinburg, TN. Jordanov, W. & Bhattacharyya, Srilata (2004). A comparative study of self-regulation in two. In International Conference of American Psychological Association, (APA) (pp. 12). Honolulu, Hawai. Vaneck, R., Nanjappa, A., & Bhattacharyya, Srilata (2004). The effect of computer game play and creation on girls’ attitude toward technology. In International Conference of American Educational Research Association, (pp. 20). San Diego, CA. Bhattacharyya, Srilata & Jordanov, W. (2003). The impact of self-regulation on academic achievement: A qualitative study of two minority groups. In Mid-South Educational Research Association (pp. 10). 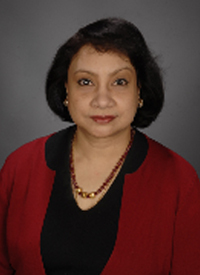 Biloxi, MS.
Bhattacharyya, Srilata (2003). Motivated strategies for learning computers and computer self-efficacy: The Asian American perspective. In International Conference of American Educational Research Association, (pp. 13). Chicago, IL. Bhattacharyya, Srilata (2002). New paradigm for the digital natives: The social cognitive perspective. In Mid-South Educational Research Association (pp. 11). Chattanooga, TN. Bhattacharyya, Srilata & Horner, Sherri (2002). Self-regulation of college students: Do parents play a role? In International Conference of American Educational Research Association, (pp. 11). New Orleans, LA. Jordanov, W. & Bhattacharyya, Srilata (2002). An examination of student attitudes regarding perspective-taking assignments on the Internet. In Mid-South Educational Research Association (pp. 10). Chattanooga, TN. Bhattacharyya, Srilata (2002). Career-decision self-efficacy: A multicultural perspective. In Lousiana Educational Research Association (pp. 10). Ruston, LA. Bhattacharyya, Srilata (2001). From yellow peril to model minority: The transition of Asian Americans. In Mid-South Educational Research Association (pp. 10). Little Rock, AR. Bhattacharyya, Srilata (1998). New directions in school management. In Annual Conference of Secondary School Principals of Bombay (pp. 10). Mumbai, India. Bhattacharyya, Srilata (1998). Qualitative research methods: New advances. In department of Civics & Politics, University of Mumbai (pp. 14). Mumbai, India. Bhattacharyya, Srilata (1998). Conducting a case-study research. In Annual Conference, Department of Education, University of Mumbai (pp. 09). Mumbai, India. Bhattacharyya, Srilata (1996). New paradigms in educational research. In Annual Orientation program for college teachers, organized by University Grants Commission, India. (pp. 12). Mumbai, India. Bhattacharyya, Srilata (1993). Project method of teaching Science in Elementary and Secondary Schools: A perspective. In Annual Conference of Department of Education, University of Mumbai, India. (pp. 14). Mumbai, India. Bhattacharyya, Srilata (1991). Spectrum and dimensions: Operational aspects of vocationalization of education. In Annual Conference of Gujarat Research Society, Mumbai, India. (pp. 10). Mumbai, India. Awarded Rotary International University Teachers Grant by Rotary Foundation, USA, to teach at the Department of Education, University of West Indies, Kingston, Jamaica, 1997. M. Phil Scholarship, University of Bombay, India. Associate Editor, Learning and Technology, 2014. Associate Editor, The Learner, 2013. Program Chair, American Educational Research Association (AERA) SIG Studying and Self-regulation of Learning, SSRL 2009-2010. Paper Reviewer, American Educational Research Association (AERA) SIG Studying and Self-regulation of Learning, 2009. Secretary & Newsletter Editor, American Educational Research Association (AERA) SIG Studying and Self-regulation of Learning, SSRL 2007-2009. Senior Treasurer, American Educational Research Association AERA. Special Interest Group SIG (SSRL) Studying and Self-Regulated Learning, 2006-2007. Junior Treasurer, American Educational Research Association (AERA), SIG SSRL Studying and Self-Regulated Learning, Special Interest Group, 2005-2006. Associate Editor: The International Journal of Diversity in Organizations, Communities, and Nations. Riga, Latvia, CG Publishing. 2009. Reviewer, Motivation Special Interest Group, American Educational Research Association, 2006. American Educational Research Association (AERA) (2001-Present). Mid South Educational Research Association (MSERA) (2000-Present). Louisiana Educational Research Association (LERA) (2001-Present). Northeastern Educational Research Association (NERA) (2003-Present). New England Educational Research Organization (NEERO) (2004-Present).